Ghirardelli has got to be one of my favorite places to get a snack or dessert at Disney. What's yours? Also wanted to say - I just checked out the Fantasyland post below and it is amazing! Thank you so much for the walk through of the new area! Wow, that looks good! One of my WDW vacation "rules" is to have ice cream every day and never from the same place twice!! 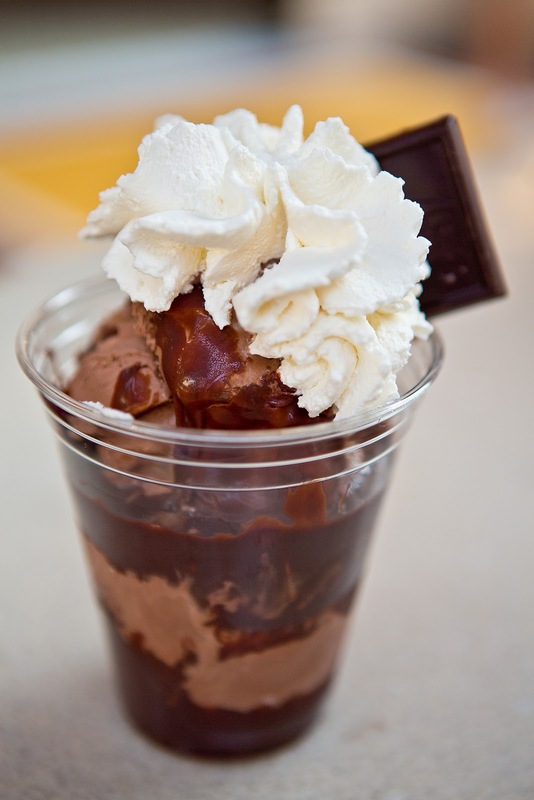 :P Ghirardelli's is a favorite of mine, too, as well as Seashore Sweets, and Gertie the Dinosaur, but my absolute favorite dessert is the Profiteroles at Chefs de France!